It is incredibly important that you keep hydrated. Dehydration affects many of the body’s processes and not only impairs your performances but also negatively affects your immune system. Unfortunately, the body can lose fluid more quickly than it can absorb it so you need to have a re-hydration strategy post training and throughout the day. If you are thirsty, YOU ARE ALREADY DEHYDRATED! You need to employ a STRATEGY/PLAN that hydrates you so that you avoid ever reaching the point at which you feel thirsty. Drink a glass of water as soon as you’ve woken up. You’ve just been asleep for eight hours, hopefully, and we sweat while we’re asleep so give yourself a top up. Water is great to drink (preferably bottled) but also it’s good to have some juice/squash for some of your fluid intake. You can make your own energy drink with juice and a pinch of salt. The cleaner the better, so if you can put fresh fruit juice in your bottle, or squeeze a lemon or lime into it rather than using synthetic squash then that would be better. Avoid drinking for at least half an hour before and after as well as during a meal as it dilutes the digestive juices. Alcohol: obviously it would be better if you didn’t drink any alcohol but if you do, bear in mind that it dehydrates you and if you’re having a few drinks, make sure you take in more water than normal between drinks and before bed. 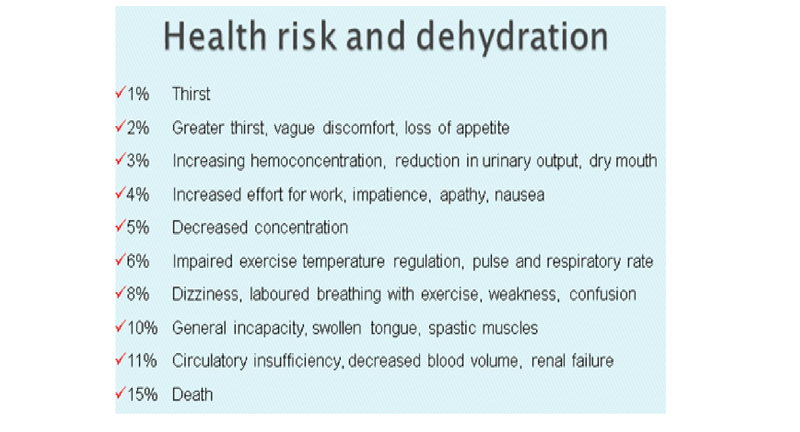 Extreme dehydration can lead to some serious medical problems (and ultimately death!) but even a small amount of dehydration will impair your aerobic performance. Even very small losses of fluid can lead to serious consequences. If you train while dehydrated your body will break down protein and you will lose muscle. It’s a good idea to weigh yourself before and after training to see how much fluid you are losing in a typical session. 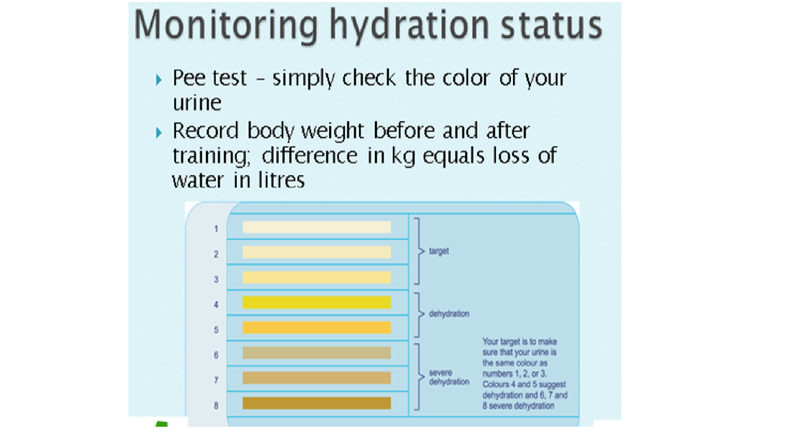 Weigh yourself in a set of training kit holding your full water bottle and then do your session, drinking as normal. Then hop back on the scales in the same kit (or preferably a dry version of the same kit if you have a spare lycra to hand, for example) with your empty bottle. This should tell you how much you are losing. If you have lost, say, two kilos, you should try and put three litres into your body over the next few hours. Roughly, you need to put back 1.5 times what you have lost (one litre of water weights 1 Kg). But this needs to be a steady sipping, not large amounts at once. We really do eat too much sugar: 700g of the sweet stuff a week. That’s an average of 140 teaspoons per person. Our love affair with sugar can mean that many of us are getting too many calories, which is one of the causes behind our ever-expanding waistlines. 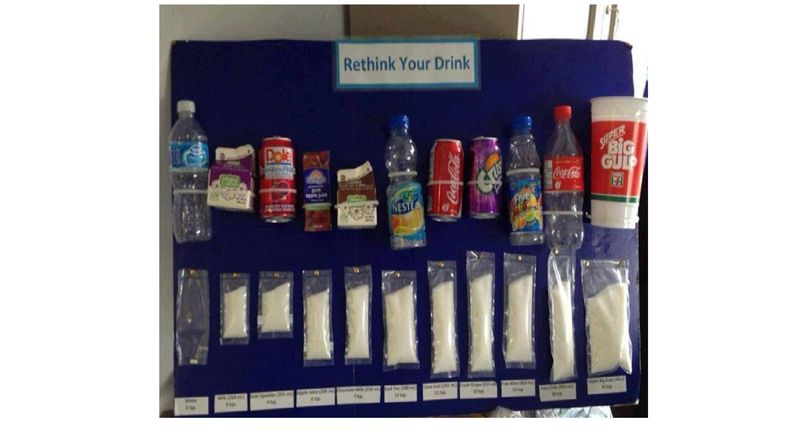 Most of us could do with eating less sugar, particularly added sugar. But many habits, especially ones we like, are hard to kick. “You don’t need to cut down on sugars found in fruit or dairy products because these foods contain lots of nutrients that are good for us. Added sugars shouldn’t make up more than 5% of the energy (calorie intake) you get from food and drink each day. That’s about 30g a day for anyone aged 11 and older. Nutrition labels tell you how much sugar a food contains. If an item’s total sugar content is more than 22.5g per 100g, it is high in sugar. Anything under 5g of total sugar per 100g is low. Nearly a quarter of the added sugar in our diets comes from sugary drinks, such as fizzy drinks, sweetened juices, squashes and cordials. A 500ml bottle of cola contains the equivalent of 17 cubes of sugar. Try sugar-free varieties or, better yet, water, lower-fat milk or water with a splash of fruit juice. 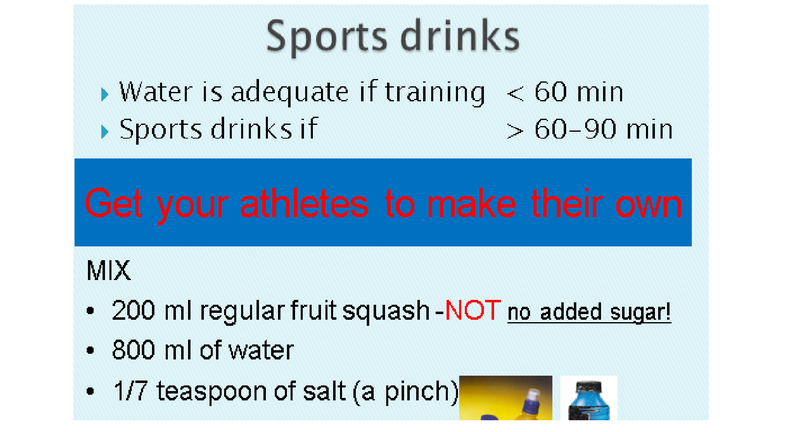 Sport drinks: The carbohydrate content of sport drinks can provide an essential source of glucose and help replenish glycogen stores and improve glucose availability to keep you going during your workouts. 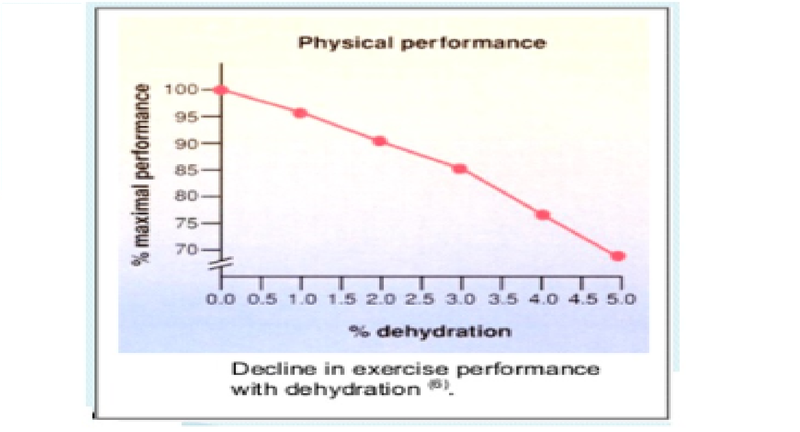 But the glucose can also enhance the absorption of fluids, as long as the carbohydrate concentration remains within 5-8% (5 g carbohydrate per 100 ml sport drink). The electrolytes in sport drinks (sodium and potassium) help to replace lost electrolytes in sweat, and sodium may also enhance fluid absorption.